The official date on which we celebrate the day of Veliko Tarnovo is March, 22nd. 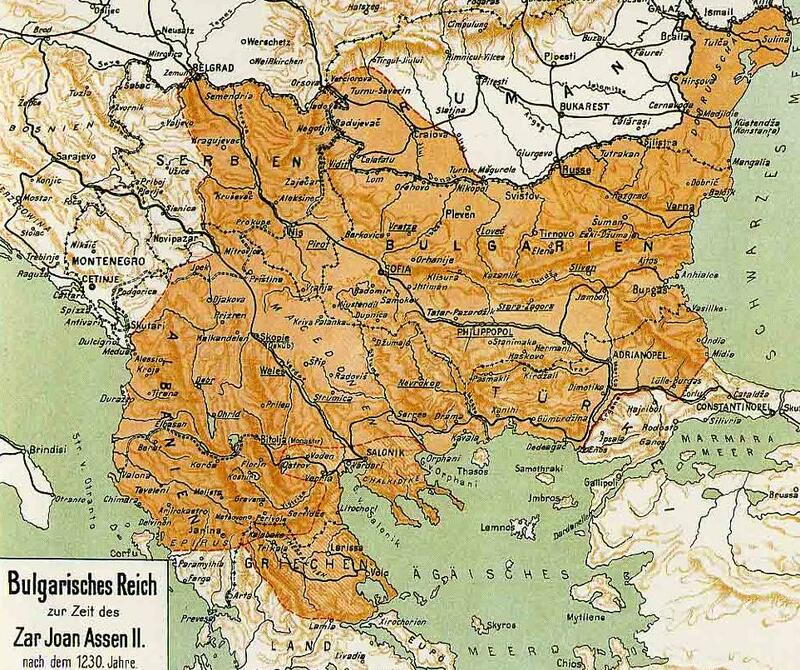 The date is related to the victory of Tsar Ivan Asen II over the ruler of the Despotate of Epirus, Theodore Komnenos Doukas, in the battle of Klokotnitsa (near the nowadays town of Haskovo). The battle in which the Bulgarian tsar defeated and captured Theodore Komnenos took place on the 22 March 1230. The first records of the day being celebrated can be traced back to 1879. The festive was held in the The Holy Forty Martyrs Church. The church, dedicated to the Forty Martyrs of Sebaste (that are honoured on the very same date as the battle itself), was built and painted on the order of Bulgarian Tsar Ivan Asen II in honour of his important victory. The church was erected in the town of Veliko Tarnovo, the capital of the Second Bulgarian Empire and also residence of Tsar Ivan Asen II. Up until 1944 the day was being marked annually. After 9th September 1944 rejoicing of the day was halted. The Bulgarian coup d’état of 1944 marked a change in the Kingdom of Bulgaria’s administration and government; it was carried out on the eve of 9th September 1944. Following that date large-scale political, economic and social changes were introduced to the country, with Bulgaria quitting the Axis and coming into the Soviet sphere of influence. Some of the citizens of Asenov quarter (where the The Holy Forty Martyrs Church is located) renewed the tradition of celebrating the day in 1970. They marked the day under the slogan ‘My beloved neighbourhood’ and the festive was carried out in the church. In 1984 their idea received wide spread support and approval. Since then 22 March is honoured annually with lots of in-town happenings, events and celebrations. Some of the most interesting events for the day are the Street parade starting at 4.30 pm in front of the European Information Centre in Bulgaria Boulevard and the Sound at Light Show at Tsarevets Fortress starting at 8 pm.